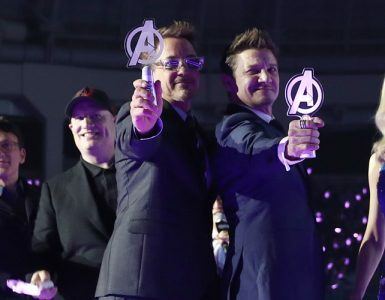 From April 24 onwards, the watching world will witness the conclusion to Marvel Studios‘ epic 22-film saga; Avengers: Endgame. 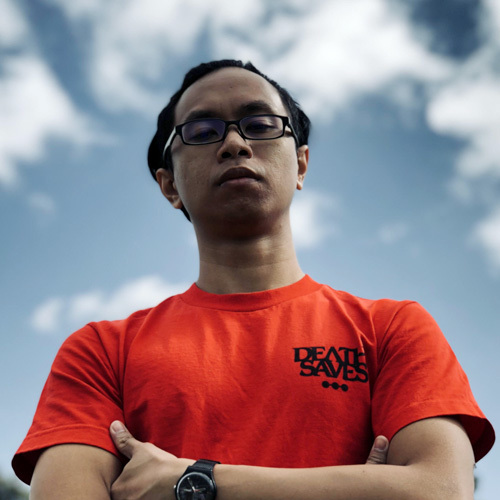 The floodgates to advance ticket bookings have opened, and the cinemas in Singapore have had a little trouble handling the furor of hungry cinema-goers who have been camping in front of their screens or in person, ready to jump on those first-day screenings (and potential re-watches, just because). After you buy your tickets, you naturally want to watch the movie with some accompanying snacks and drinks. 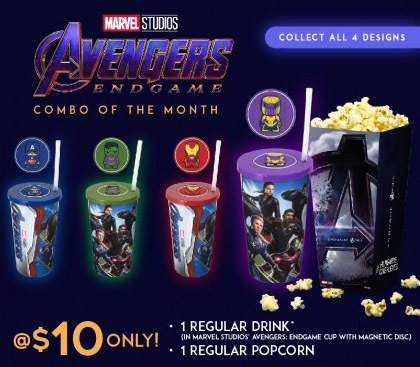 What better way to watch Endgame than to have some appropriately-themed merch while you’re at it! 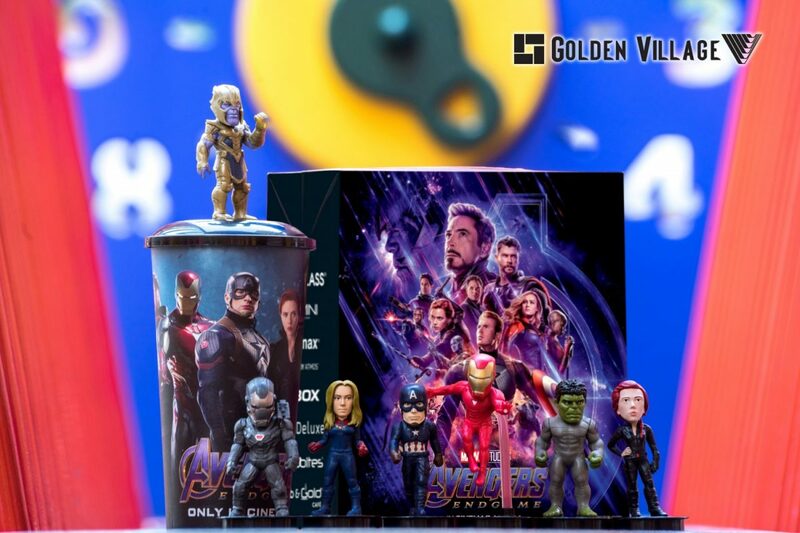 Golden Village is up first with their standard collectible cup-with-topper combo, as we’ve seen in the likes of the last two Star Wars films. 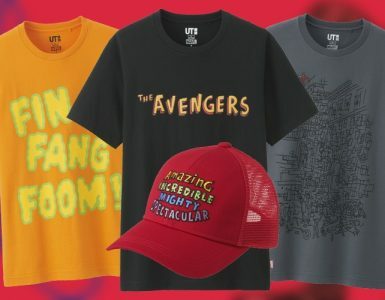 There are seven designs in total (while stocks last, of course), featuring Thanos, Iron Man, Captain Marvel, Hulk, Captain America, Black Widow and War Machine. 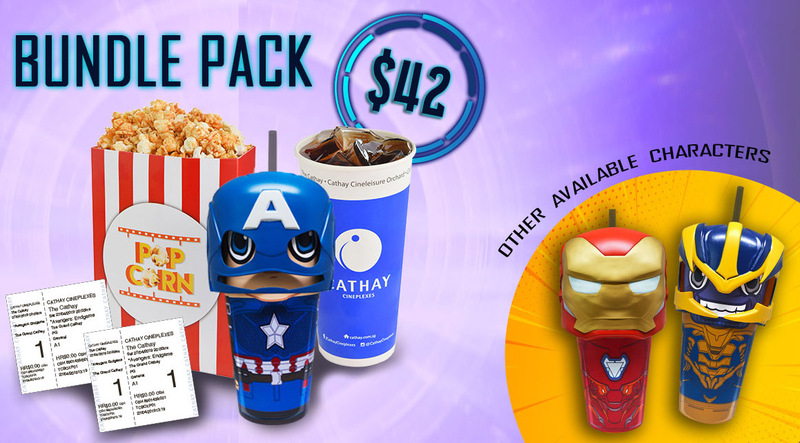 There are three combos that include a Regular Drink with a topper design of your choice: Combo A comes with a Large Popcorn for S$14; Combo B has a set of Nachos for S$15; and Combo C comes with a hotdog and also goes for S$15. 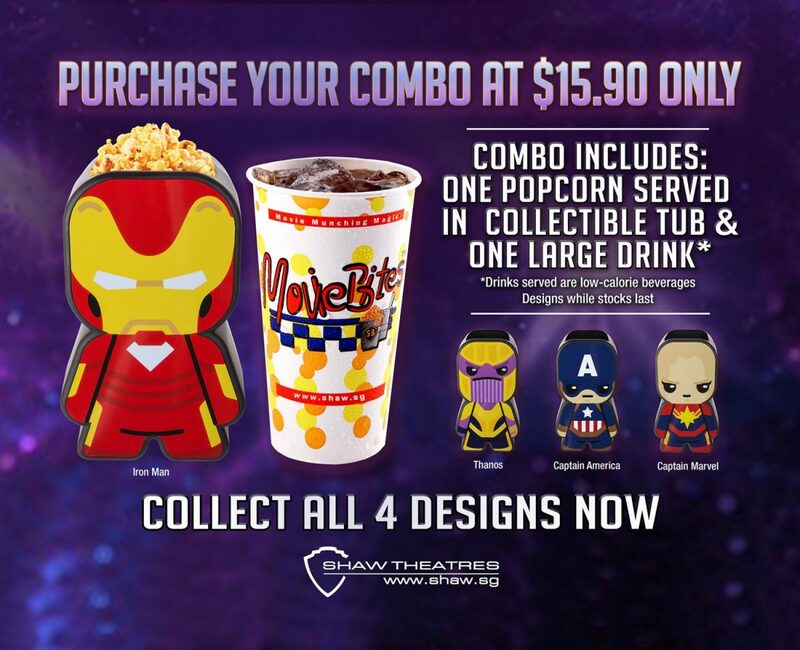 Shaw Theatres has a popcorn combo going for S$15.90 that comes with a collectible character tub. Choose from Thanos, Captain America, Iron Man or Captain Marvel. 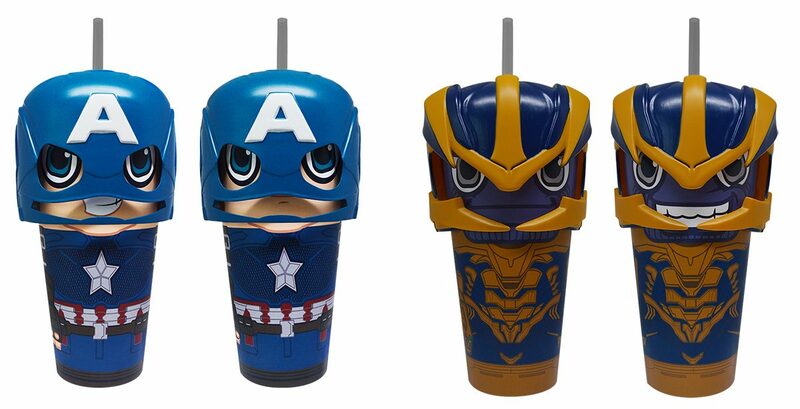 x1 collectable character cup (choose from Thanos, Iron Man or Captain America) – Each character has two facial expressions that you can rotate between. 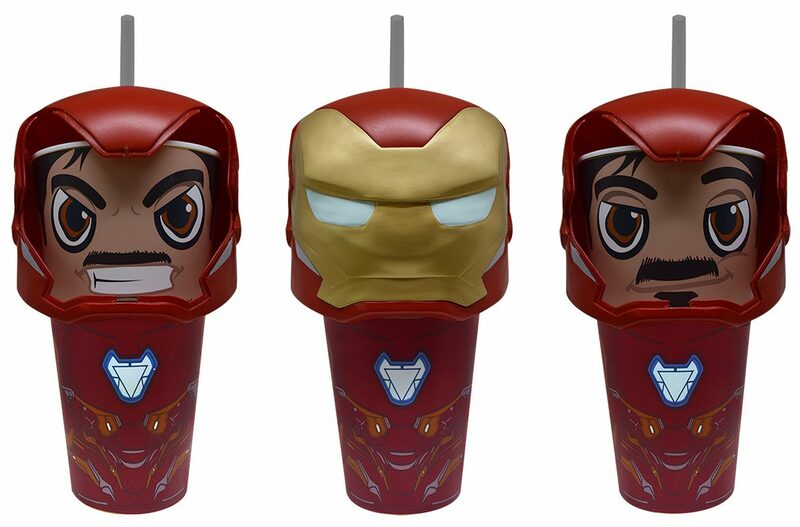 For example, if you turn Iron Man’s head, it’ll reveal Tony Stark’s face. This bundle will only be available via the mobile app and website, on 26 to 28 April 2019, while stocks last. 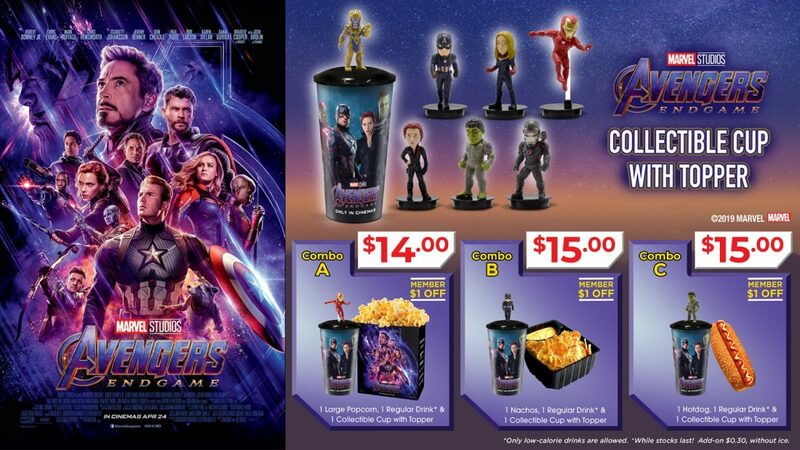 Filmgarde has anAvengers: Endgame Combo available now at S$10, which consists of a regular drink and regular popcorn with an exclusive Avengers: Endgame Cup with a magnetic disc (choose from 4 designs). 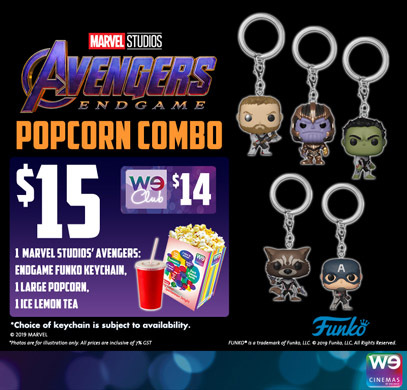 Available now, WE Cinemas is offering an Avengers: Endgame combo for S$15 (S$14 for WE Club members) which consists of a large popcorn, ice lemon tea and Avengers: Endgame Funko keychain. 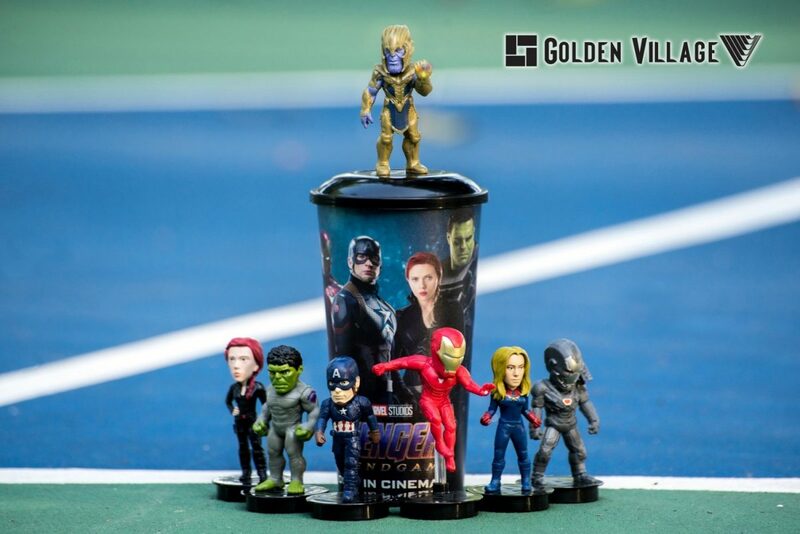 The hype is real, and it can only go higher with the cinemas now pitching in with these cool Endgame-themed merch. Or, if you happen to be visiting Taiwan, the 7-Eleven stores have a whole slew of merch too. Will you collect ’em all by re-watching the epic three-hour film at all these cinemas? We won’t be surprised if you actually do.